Group-winning sprinter Deploy is primed for his return in the Starlight Stakes at Rosehill. 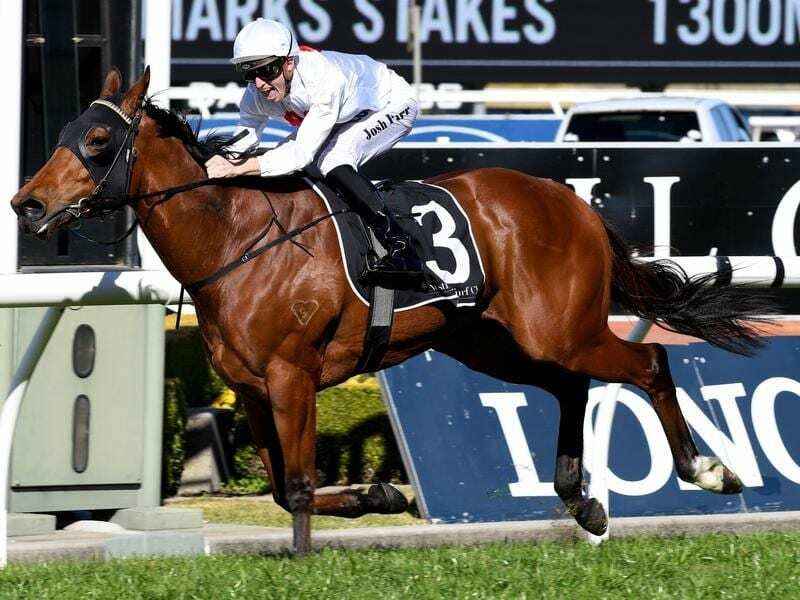 Stable star Trapeze Artist has returned to Rosehill to get ready for the autumn but more immediately trainer Gerald Ryan is looking forward to Group-winning sprinter Deploy getting back to the races. Deploy heads the field for the Starlight Stakes at Rosehill where he will make his long-awaited return from surgery to remove bone chips. “Trapeze Artist came back today and he looks terrific,” Ryan said. Last season’s champion colt, Trapeze Artist went for a spell after his second in The Everest on October 13 while Deploy hasn’t raced since February when the bone chips were detected and has had two trials to get ready for Saturday’s Listed sprint over 1100m. He finished third in a 900m-trial at Rosehill on November 19 and had a softer time at Hawkesbury over 760m on Monday when he finished sixth of seven runners. “He’s done well since his first trial and he had another one with his blinkers back on at Hawkesbury,” Ryan said. “I’m happy with him and how he has come back. Deploy is one of 13 entries for the race along with his stablemate Magic Alibi who is getting ready for another trip to the Magic Millions Fillies and Mares (1300m) at the Gold Coast in January in which she ws fourth last year. ‘She is really bright and well,” Ryan said. Stable favourite Red Excitement is one of seven nominations for the Listed ATC Cup (2000m) which include Group One winner Aloisia. The Ciaron Maher and David Eustace-trained Aloisia won the Thousand Guineas in October last year and finished third at Group One level in the Vinery Stud Stakes in March. Her best performance since has been her third in the Group Two Tristarc Stakes at Caulfield on October 20. Red Excitement won over 1900m on November 3 and finished fourth behind Our Century over the same distance last Saturday week. “He will be better off at the weights this time so that could help him,” Ryan said.